The “editorially curated” market will be an exciting addition to Chicago’s tourist scene—but what does it mean as a direction for food media? THE PHRASE “FOOD HALL” MOSTLY COMES FROM Harrod’s, London’s department store for the posh, and so does Didier Souillat, CEO of Time Out Market—he was in fact director of the famous Harrod’s food hall, where for generations toffs have ordered up a picnic basket of foie gras and cold grouse with a couple of bottles of Lynch-Bages to take along while roughing it. Time Out Market, anyway, should be more welcoming than that. Souillat is fashionably grey haired and bearded, with a gravelly voice a little reminiscent of the actor Michael Gambon, his accent British with a hint of his native Switzerland. He seems the living embodiment of the international brand, whose foray into running markets offering a variety of food vendors encapsulating the local cuisines began in Lisbon in 2014. The markets are the physical manifestation of the media platform. So we’ve got print, physical and digital. Five years later, with markets in or on the way in Miami, New York, Boston, Chicago, Montreal, Dubai, London and Prague, “The markets are the physical manifestation of the media platform. So we’ve got print, physical and digital,” Souillat says, in a formulation aimed more at Wall Street than hungry humans. More interesting to actual people would be the food vendors that Time Out has already lined up, about half the ultimate list, including HaiSous, Purple Pig, Entente, Urban Belly, and (this might be the killer app) Pretty Cool Ice Cream. “So, we say we’re going to have a deep dish pizza, we’re going to have a hot dog, because it’s Chicago—we don’t have a hot dog in Miami,” he says. “Then we have spaces for signature chefs. For signature chefs, there’s no food type—they’re signature chefs, the best chefs in town for whatever they represent.” The vendors are chosen with the guidance of the editor of Time Out Chicago, Morgan Olsen. He tries to give a sense of what that will mean—while admitting that at the moment it’s kind of just a promise. “It will be activated with the help of the magazine—they know better who’s hot in terms of art and music. It’s not about what’s established, either, but new kids on the block—we have 50,000 feet of space there, you think I can’t find a wall for art? I got plenty of space for art. THE HOOK THAT IS SUPPOSED TO SET TIME OUT MARKET apart from other food halls is this idea of being “editorially curated,” which is to say, the market is the magazine made brick and mortar. This isn’t just cute marketing talk—the choices of which vendors to pursue for the 18 slots in the market were made in consultation with Time Out Chicago editor Olsen, so that the market reflects the opinions of the magazine as to what Chicagoans in its target audiece do, and more to the point for a lifestyle brand, should find hip and exciting right now. I ask Souillat how he sees the market and the magazine working together going forward. “They work together,” he says decisively. “They absolutely work together. ‘Editorially curated’ is a word that we’re absolutely making happen. Secondly, we have a reach of 144 million people every month. 350 cities, 58 countries or something like that. 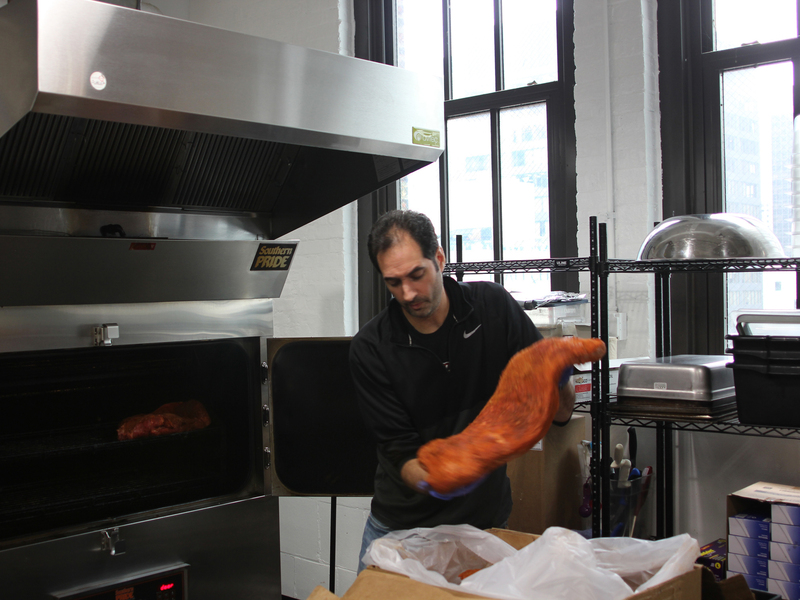 When we speak to the chefs—everybody’s busy on the weekends, we need them to be busy at Monday lunch. I need a media partner. I need a marketing machine. That’s Time Out. To me it seems a level of synergy between editorial and sales that would have been strenuously resisted in another age of media. 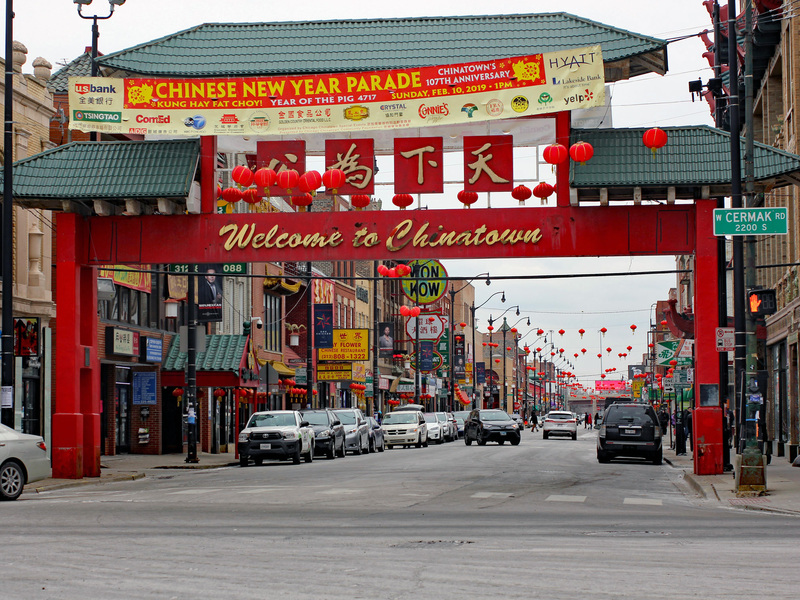 How did an old-line publication with a traditional “Chinese wall” between the editorial and business sides—say, the Chicago Tribune—react when these editorially curated partnerships were announced? All local names, all highly regarded. And that’s the point. Okay, I guess we’re all good with that now! One of the things that Time Out Market’s website said was that spots in the market would only go to places that had earned four or five stars in the magazine. 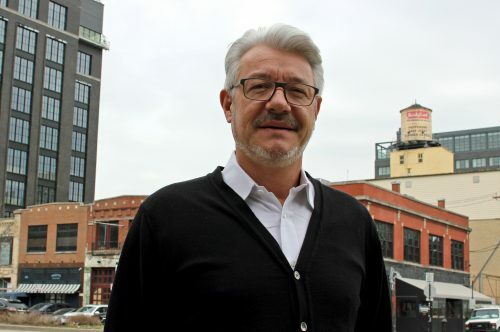 Souillat admits that the criteria will be a bit looser in Chicago—Time Out only reviews a couple of restaurants a month these days—but when I suggest that this creates a backwards incentive, to favorably review places in the magazine that the market might want to work with, the very suggestion seems incomprehensible to him. SO NOT TO WORRY, EVERYTHING WILL flow from magazine to market and not the other way around. Virtue is unthreatened. Still, one looks at the relative presence that the two faces of the brand will have in Chicago—one a brick building in the hottest restaurant district serving hundreds a day, the other an online magazine which publishes a couple of reviews a month and puts out a quarterly print edition given away for free in foyers… well, it’s not hard to see who’s likely to be the dominant partner. 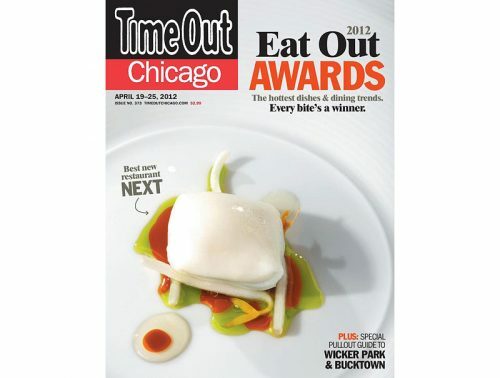 A few years ago, Time Out Chicago the magazine was a big player on the scene—in a weekly print edition sold in grocery stores all over town. Brash, cheeky, vulgar at times, but firmly committed to the idea that you could be cool too if you followed its recommendations, it livened up our food scene for its few years of weekly print publication (disclosure, I did a little writing for it in those days). 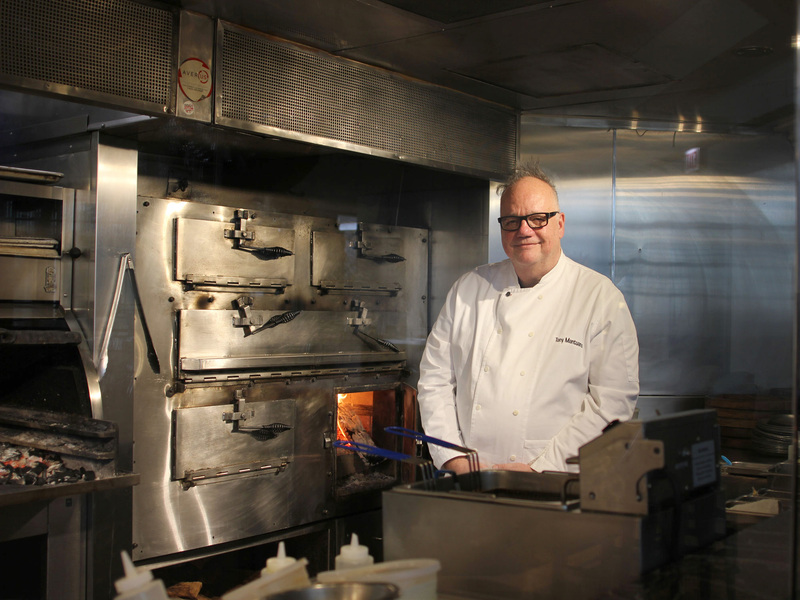 There’s a chef nominated for a Beard award this year who first came to everybody’s attention because Time Out Chicago made an event out of David Tamarkin giving Lee Wolen’s roast chicken a very rare (we were told) five star review. The city as a whole is dominated right now by real estate issues, the faceless Brasilias that big developers are hurrying to throw up on every open space in the city in the last-days-of-Rahm land rush. And the restaurant industry is a subset of that, squeezed into a few hot neighborhoods with ever-increasing rent, and under the kind of economic pressures that can start to iron out the most interesting parts and produce a certain sameness across the scene. So who can blame a media company, especially one whose culture was always being deep in the scene and defining what’s hip, for wanting to get in on this hot new game? In a real sense I do think their claim of editorial curation being the same across two different businesses is credible. In a world where the work of using words is valued so little, why use words to tell people what’s happening when you can literally drop the restaurant itself right in front of them, and the worlds of art and music too? Maybe building brands with buildings and markets has more impact than doing so with words and pictures. Or maybe we’re giving up a little too easily on that, in a city where mere words and pictures once built colossi of brand names. Come to where the flavor is. You deserve a break today. The word “magazine” has interesting origins in an analogy almost no one realizes is one today. It literally means “store” or “storehouse”—in France department stores are so-and-so Magasins—but in English it was particularly a central place where weapons and ammunition were kept. So a magazine, printed, was a storehouse of high-powered, sometimes deadly ideas, in an age when people believed that the pen was mightier than the sword, and could bring down kings. Who has that kind of faith in words over experiential marketing now? 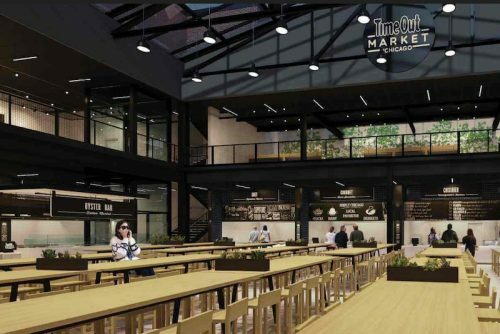 Sure, Time Out Market is a worthy idea, it will be a fun place to go for tourists and locals, too. Let’s have it. Enjoy it! Don’t let me buzzkill it, I’m just a writer! But when this real estate bubble finally bursts a bit, maybe words will come back into fashion as a tool that can make brands, and sway audiences, and explain a city to itself. Maybe somebody who wants to influence the city will want to publish a magazine, as well as build one out of bricks. Michael Gebert is the famous Grouse of Fooditor.